The University of Notre Dame’s annual Bengal Bouts student boxing tournament’s longtime mantra is “Strong bodies fight, that weak bodies may be nourished." The unusual mantra is fitting for an unusual competition whose ticket sale proceeds benefit Holy Cross Missions in Bangladesh, part of the ministry of the Congregation of Holy Cross, Notre Dame’s founding religious community. However, this year a large number of Bengal Bouts boxers are going even further to do good by volunteering to participate in post-bout concussion testing. James Moriarity, the University’s chief sports medicine physician, notes that boxers are being asked to undergo groundbreaking post-bout concussion testing. His experience with previous years’ tournaments, and with the Baraka Bouts Women’s tournament last fall, suggested that boxers had experienced concussive head injury that was not uncovered during the current recommend clinical testing for concussions. In order to ensure the continued safety and longevity of the 82-year-old Notre Dame tradition, the physician developed an innovative concussion testing study that has a number of components. One aspect of the research study revolves around X2 Impact concussion mouth guards and headbands. X2 Impact is a company that produces and researches devices that measure acceleration and rotation in the head during impact. The mouth guards are custom-molded and the headbands fit under the boxing helmets. The devices use nanotechnology accelerometers and gyroscopes to measure and transmit linear and rotational directional g-forces data via cloud computing. From this data, Moriarity and his research team can determine how much force is transmitted to the head with a punch. 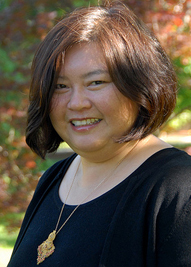 Another study component involves the pioneering Traumatic Brain Injury research of Mayland Chang, a researcher in Notre Dame’s Department of Chemistry and Biochemistry. Chang points out that an important factor in the pathology of brain injuries is the activation of “matrix metalloproteinases,” or MMPs, in particular gelatinase B or MMP-9. She is working to develop a water-soluble gelatinase inhibitor compound. The water-soluble aspect is critical, because the goal is to make the compound suitable for intravenous administration in the treatment of acute gelatinase-dependent diseases, such as concussions. She and her team of researchers recently achieved a breakthrough that produced a greater than 5,000-fold increase in the water solubility of the compound they are developing. She believes that the compound can eventually be translated from her lab to the clinic for the treatment of traumatic brain injuries, including sports concussions. Bengal Bouts participants who suffer a concussion during sparring or matches are asked to provide a blood sample that Chang’s lab will analyze for elevated levels of MMPs over a period of three weeks. The Bengal Bouts MMP analysis is the first of its kind for any sporting group in the United States. Another study being conducted in conjunction with this year’s Bengal Bouts seeks to determine if muscle fatigue has any influence on an athlete’s ability to maintain balance during a commonly performed balance test. The test is called the “Modified BESS” and is used to determine the presence of a concussive injury. Vertical leap is a simple method for assessing fast twitch muscle strength in the legs. The study compares each boxer’s vertical leap during a baseline test on physical night with vertical leap measured post-bout. The objective of the test is to assess in an objective manner the degree of lower leg muscle fatigue in post-bout boxers and correlate the degree of fatigue with declines in balance scores. The study was designed and conducted by Jennifer Malcolm and Rebecca Myers, two physicians who are sports medicine fellows at Notre Dame this year. Other key participants in the research are Kevin McAward, a University physician; Ruthann Heberle, director of Medical Services Outreach; and Nathan Walker of RecSports. 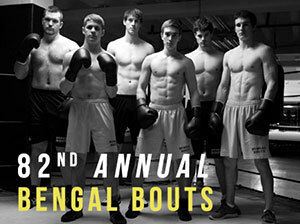 The medical care and safety program for the Bengal Bouts has been refined over the years to an unparalleled level. The current concussion research will provide a treasure trove of research findings that will further enhance the care and safety of boxers fighting global poverty as well as athletes in all sports. Contact: James Moriarity, 574-631-7497, James.D.Moriarity.1@nd.edu. Originally published by William G. Gilroy at newsinfo.nd.edu on March 02, 2012.